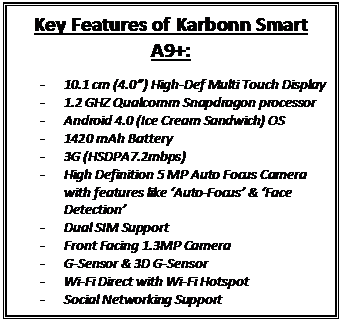 Country’s own brand – Karbonn Mobiles has announced the launch of 2 new Android smartphones – Karbonn Smart A21 and Karbonn A9+ under its Duple series. 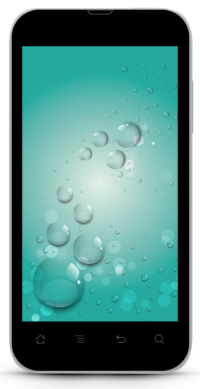 These Android phones will be powered with 1.2 GHz dual core processors and have Android’s Ice Cream Sandwich avatar. 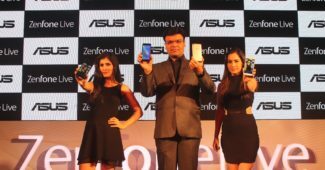 Both A21 and A9+ shares several common features – 1.2GHz Dual Core snap dragon processor, Android Ice Cream Sandwich operating system, 5MP auto focus rear camera with features such as burst mode, face detection; front facing 1.3 MP camera, 3G, Dual-SIM support, WiFi, Bluetooth; sensors – 3D gravity, proximity, light. 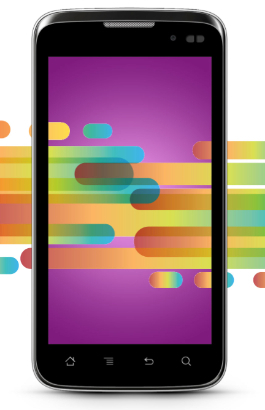 What differentiates Karbon A21 from A9+ is, A21 spots a 4.5″ qHD screen and 1800 mAh battery to power the phone while its A9+ counterpart will have a 4″ high definition screen having a 1420 mAh battery. 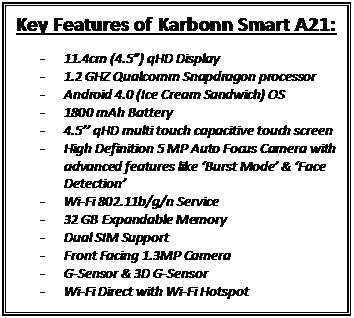 Karbonn Smart A21 is priced at Rs. 11,990 and A9+ at Rs. 9,990/-. This is great phone but in india people are blind they all go for samsung because it is branded . There’s other reasons too. 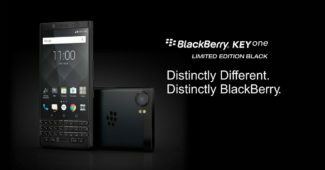 BB is synonymous to quick mail for many. 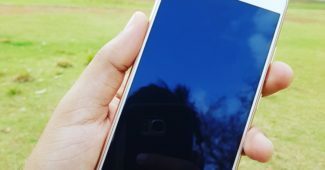 please do tell is karbonn hanset reliable?